?Spoiler alert: this kind of insane behavior gets you a red card! 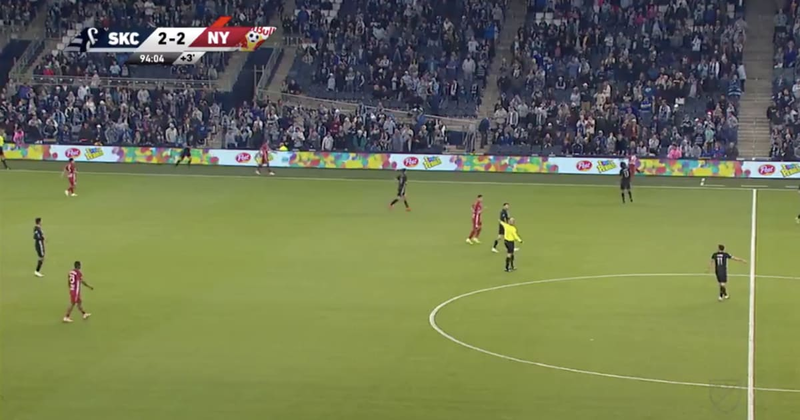 In the dying moments of tonight’s New York Red Bulls-Sporting Kansas City ?MLS match at Children’s Mercy Park, NYRB midfielder Kaku totally lost it. Watch as he shockingly strikes a dead ball right into the crowd, hitting a fan practically point blank. The absurd and inexplicable act got Kaku sent off, and he’s certain to receive a multiple-game suspension. The only question is just how long his ban will be. If the MLS Disciplinary Committee has any real sense — ?it may or may not — it will make an example out of this guy, because someone could have been seriously hurt here. Just a terrible way to end the game, which concluded as a 2-2 draw. Unfortunately, it’s now made headlines for all the wrong reasons.